RUBIROX is an independently owned family jewellers based in Stamford, Lincolnshire. Our charming and contemporary store first opened its doors in 2010, originally under the name ‘You & Beyond’. Throughout the years, the store has added to its collection of brands to become Stamford’s destination store for jewellery and watches. The store now stocks a collection of over twenty brands from across the world. Some of our favourites include Swarovski, Links of London, and Thomas Sabo. The store underwent a refurbishment in 2017 and re-opened under a new name ‘RUBIROX’. We can now deliver an even greater experience to our wonderful customers, whilst also launching our E-commerce website. We take pride in the jewellery we sell and the service we offer, achieving the PANDORA Shop in Shop Of The Year award in 2017 as well as being featured in the Top 100 Inspiring Independent Jewellery Retailers of 2017. 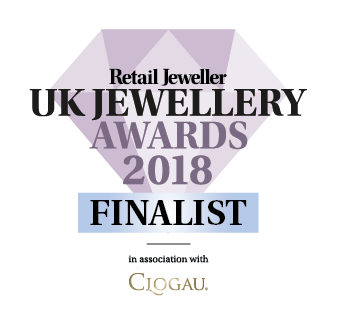 RUBIROX has now also been shortlisted for Store Design of The Year and Multi Brand Store of The Year at the UK Jewellery Awards, 2018. We assure you will find something for everyone and will be welcomed by one of our fabulous team members who will be delighted to assist as you browse our extensive ranges.